Lived during the Early Eocene Period. 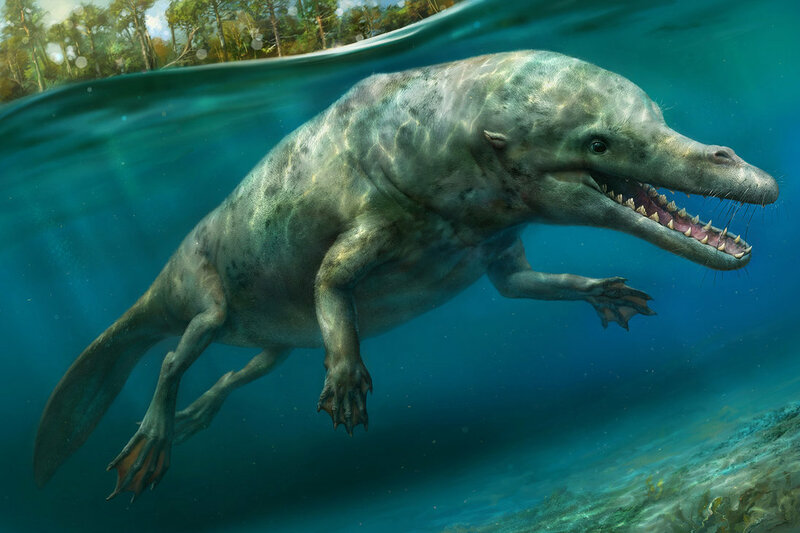 Rodhocetus is a whale that isn’t as famous as some of its ancestors (such as Pakicetus or Ambulocetus) but it is still an important part of the fossil record. Especially since so many of its fossils have been found and paleontologists have a profound understanding of it. 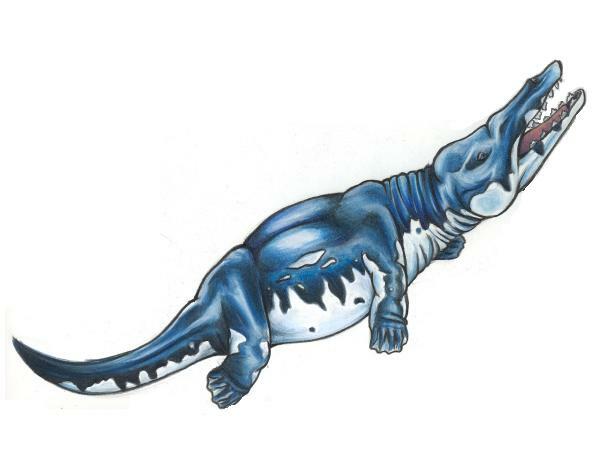 In fact, it is probably one of the most studied and understood whales that paleontologists know of today. 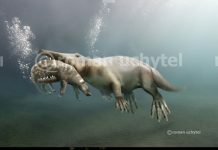 If you look at Rodhocetus pictures, then you’ll see an animal that looks like a cross between a dolphin and an alligator. 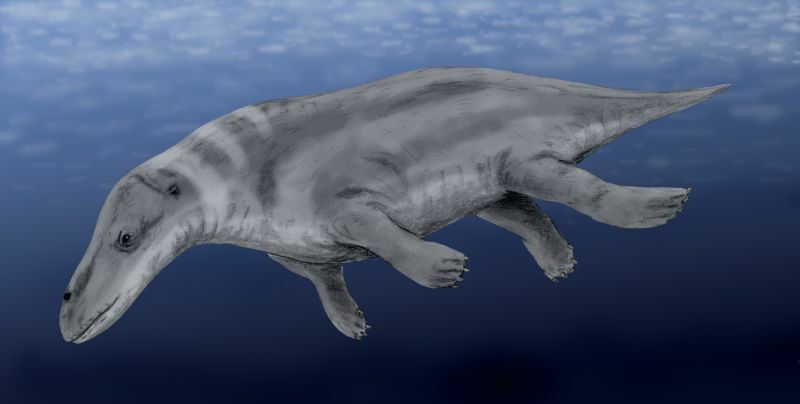 However, it was actually a whale that lived part of its time along the shore and part of its time in the ocean, although it must be said that it probably spent the majority of its time in the water. 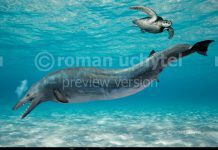 One of the most fascinating Rodhocetus facts is that it had quite a few aquatic features. 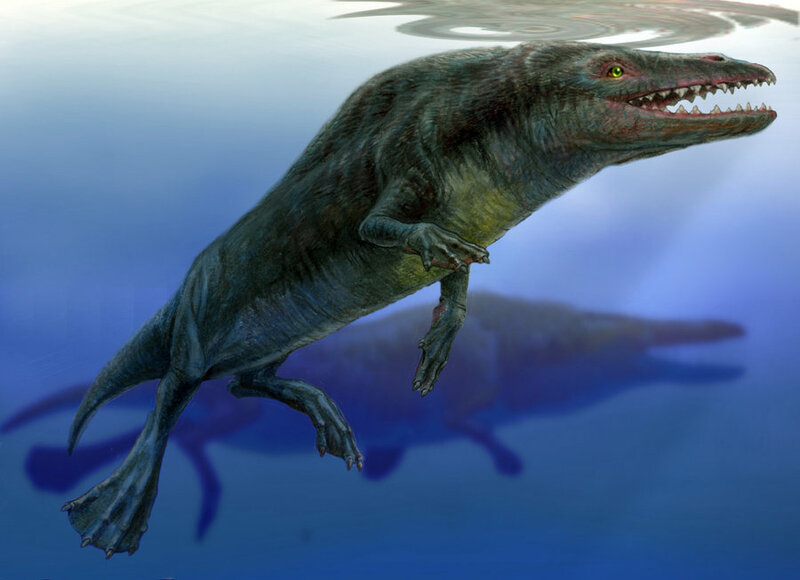 While it was capable of walking on land, it could only do so for short periods of time because it had leg bones that couldn’t support much weight. 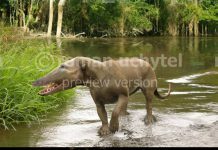 It did, however, have a very flexible spine that would have given it great agility in the water. 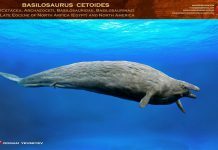 It is estimated that these animals were approximately 10 feet long and weighed around 1,000 pounds. That would have made them about as long as white-beaked dolphin and ta little bit heavier than a horse. 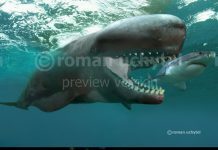 Rodhocetus was a carnivore and probably ate a variety of marine animals. It probably would’ve lived on the fish and squids that occupied the waters of central Asia.